Aljazeera English reports on the eruption of delight in Benghazi at the announcement Thursday evening New York time that the UN Security Council had authorized a no-fly zone over Libya and the taking of all measures necessary to protect civilian life. 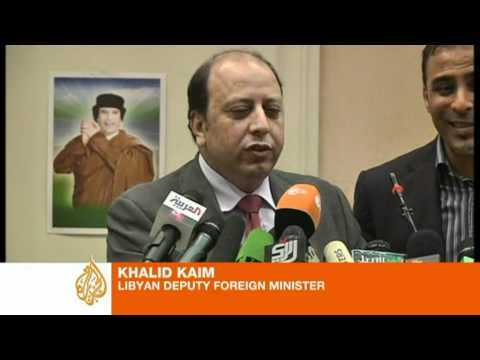 The Qaddafi regime sent mixed signals after the announcement, with the deputy foreign minister indicating that a cease-fire would be observed if its details could be worked out. The minister of defense said that a ceasefire would begin Sunday (by which time, presumably, he expected to be in control of the whole country). At the same time, the ministry of defense issued a threat that if Libya were attacked, it would retaliate against air and maritime traffic in the Mediterranean basin. One strategy the Qaddafi regime could deploy would be to try to take the whole country quickly. A no-fly zone and even a ‘no-drive zone’ intended to protect the rebels would become irrelevant if all the rebel strongholds had fallen. Although some French sources are talking about air strikes on Libya by late Friday, other sources say Sunday is likely the earliest the UN-authorized forces could intervene. By then, some elements in Tripoli probably hope, the whole thing will be over with. In short, the rebels need to be able to survive on their own two or three brutal days. It is not clear whether Qaddafi’s forces have already taken Misrata near Tripoli in the West, a city of 600,000, or whether parts of it are still in rebel hands (Aljazeera Arabic maintains the latter). Qaddafi’s forces are battling for contol of Ajdabiya in the middle of the country, from which they could quickly advance on Benghazi. They even allegedly made a foray on Tobruk in the far west before being beaten off. I think the threat launched by the ministry of defense, of essentially turning to large-scale terrorism in the Mediterranean, has sealed the fate of the regime. No government that speaks that way will be allowed by the powers of the Greater Mediterranean. Qaddafi is almost completely isolated in the region, a bad sign for him. His survival would not have been good for the new reform governments in Tunisia and Egypt. Having an authoritarian who sent tanks against his protesters, and who has billions in oil wealth, as a neighbor would be very inconvenient for reformists on either side of Libya, whom Qaddafi would try to undermine. Qaddafi’s old friend Silvio Berlusconi of Italy has offered Italian bases to France, Britain, Norway, Canada, the US and the gathering UN-backed coalition. Qatar and the United Arab Emirates may well fly fighter jets over Libya on behalf of the Arab League. Russia and China, which abstained from the UNSC vote, are distant and not involved. Algeria is probably getting out of the way lest any opprobrium fall on Algiers. If Qaddafi falls, and a new government emerges with parliamentary commitments and a rule of law, all of North Africa will have seen substantial reforms. Morocco is moving toward being a constitutional monarchy. Algeria has lifted the state of emergency declared in 1992. Tunisia and Egypt have overthrown their dictators and announced new elections and the prospect of new constitutions. 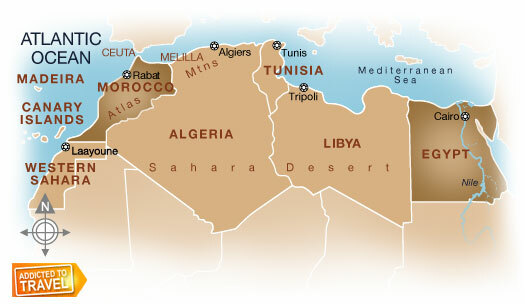 Algeria has gone least far toward reform, but the regional atmosphere is turning decisively against such foot-dragging. What happens in the next 72 hours is fateful for Libya but will have wider repercussions throughout the region, for better or worse.